1. Introduction (Denis Hamilton and Stephen Crossley). 2. 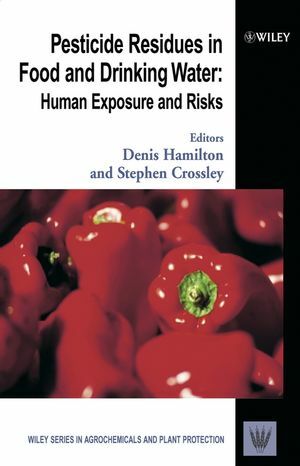 Environmental Fate of Pesticides and the Consequences for Residues in Food and Drinking Water (Jack Holland and Phil Sinclair). 3. Pesticide Metabolism in Crops and Livestock (Michael W. Skidmore and ´ Arp´ad Ambrus). 4. Effects of Food Preparation and Processing on Pesticide Residues in Commodities of Plant Origin (Gabriele Timme and Birgitt Walz-Tylla). 5. Toxicological Assessment of Agricultural Pesticides (Mike Watson). 6. Diets and Dietary Modelling for Dietary Exposure Assessment (J. Robert Tomerlin and Barbara J. Petersen). 7. Chronic Intake (Les Davies, Michael O’Connor and Sheila Logan). 8. Acute Intake (Kim Z. Travis Denis Hamilton, Les Davies, Matthew O’Mullane and Utz Mueller). 9. Natural Toxicants as Pesticides (John A. Edgar). 10. International Standards: The International Harmonization of Pesticide Residue Standards for Food and Drinking Water (Wim H. Van Eck). 11. Explaining the Risks (Sir Colin Berry).